A date such as November 18th speaks of the essence of Scorpio's rewards and challenges, connecting the most sensitive feminine issues with masculine and forceful energies within. People born on this date need to go through experiences of trial and error until they organize their personal priorities in ways that will protect their desires, talents and their clearest emotional core. There are loads of energy in this planetary row, that may be a bit aggressive towards one's sensitivity and feminine needs within. Those born on November 18th will show initiative, sport spirit and a lot of clarity when making their decisions, but could rush too far ahead and project their desires where their feelings don’t really take them. A step back is needed here for a person to dive into their inner world, see changes in their core as they shift and release, so they can follow the beat of the Universe and truly use their potential for all those things that inspire them and make them special. Other people could drain a lot of their primal energy if they aren’t careful around compromise and inflated problems that everyone is bound to carry on their own. While trying to help and seeing themselves as extremely potent, they could lose energy needed to deal with their own issues and resolving troubles that are painful to their own emotional world. Golden middle needs to be found in order for their creative and passionate Self to truly shine in the outer world. While selflessness is a virtue, they are to see that balanced "selfishness" can be a virtue as well. A symbol such as this one signifies a strong connection to Nature and all Nature's resources in lives of those born on this date. However, it is also a hidden tail of moving where one is pushed by larger forces and human nature than hasn’t evolved to the point of acceptance. A conqueror in them should be careful of what they leave behind, always reminded of their heritage and what carries the greatest quality inside their heart. They are to use their fiery energies to settle in and find peace, find a place where they feel at home, and stay in balance with the natural order of things as they move along. Moon is the guiding light of those born on November 18th, speaking of their desire to find the state of inner peace where emotions will be embraced and their relationships pure and joyous at all times. Although this ideal might be a bit tough to reach, they can be certain that their ancestors and their family tree gave them everything they need to find all the right answers. In order to do so, they must reconnect with their heart and let go to absolute intimacy with themselves and other human beings. Moving towards emotional clarity from the point of instinctive action, we can see the souls of those born on the 18th of November evolving over the course of their lifetime. Some deeply emotional contacts will have to be ended, but others tend to give them more as time goes by. On their path towards trust and intimacy, they could have many short-term bonds that don’t really touch their heart as much as they would like them to, or choose aggressive partners that will make them lose the ground beneath their feet or make them feel dependent and insecure. Sexuality plays an important role in their lives and they could follow their instincts to make one too many irrational decisions or let things spin out of control when what they truly need is support and tenderness. 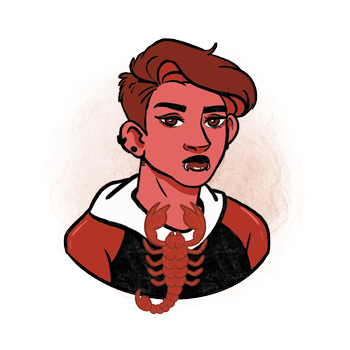 Mars standing in their first planetary row needs to protect their weaknesses instead of tearing them apart, and they should always be prepared to address the issue clearly, ready to stand opposed to those who hurt them in any way. Their sensitive side should have the most benefit from their strength and this will ultimately lead to safe and intimate romances that flow with ease, well protected from the rest of the world. A person born on November 18th does well in all sorts of sports and active workplaces, but could have trouble achieving great success within a team. They are men of the army, those who protect those less fortunate or stand to protect their country as soldiers and those who defend the ideal and a shared cause. When in touch with their feminine side, they can do wonders in agriculture and fields of expertise that feed or support basic needs of many people. Goethite is a very good stone for those born on November 18th. Although it is commonly used to help grief, it has a strong supportive energy for the heart chakra that these individuals need even when they feel good about their circumstances in life. It heals raw emotions in their deepest inner circle, showing ways in which one can protect themselves from issues of the outer world and pointing out all those functional distances from people who intrude on their boundaries and send too much responsibility their way. 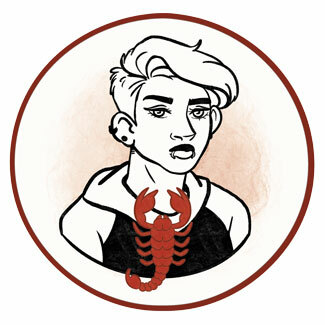 A choice of birthday gift for a Scorpio born on November 18th shouldn’t in any way be pathetic or an attempt to buy their love, but it shouldn’t be rough on their character either. They could enjoy simple things for their kitchen and their home, but they will feel much better about a gathering around a large fire or something to spark their energy as a declaration of love. They will appreciate a pocket knife, a set of thin, fine glasses, or something to make a statement out of privacy such as a box with a padlock and key, or any gadget that can be locked. Energetic, strong, protective and grounded, they have a way with the material world and their assets and might help others be the productive and creative individuals that we are all meant to be. Pushy, angry, aggressive, they have trouble fitting into social circles that don’t resonate with their emotional needs and could turn to destructive choices and behavior when pushed too far by lack of compassion. In 1923 Alan Shepard was born, an American astronaut, admiral and pilot, the first American to travel into space and the first space traveler who manually controlled his craft's orientation. He is known as deeply devoted to his children, taking them to NASA events where no other children of astronauts attended. In 1960 Kim Wilde (Kim Smith) was born, an English singer, author and DJ, who debuted with her single "Kids in America". While still active in music, she started an alternative career in late 1990s as a landscape gardener. In 1968 Owen Wilson was born, an American actor, comedian and screenwriter, recognized for his roles in Starsky & Hutch, Around the World in 80 Days and Midnight in Paris. He attempted suicide in 2007 and was treated for depression. 1493 – Puerto Rico is first seen by Christopher Columbus. 1872 – Due to illegal voting, fifteen women are arrested in the United States. 1883 – Five standard continental time zones are defined by the U. S. and Canada railroads. 1928 – The animated short film and the first synchronized sound cartoon, Steamboat Willie, is released. This date is considered the birthday of Mickey Mouse. 1963 – Service begins of the first push-button telephone. 1988 – A bill is signed by president Ronald Reagan (born on February 6th) allowing death penalty for drug traffickers.